Attention All Castaic Buyers & Agents! This Is The Super Sharp Castaic Pool Home You Have Been Have Been Waiting For! Wait Till You See This Entertainer?s Dream Yard With Your Own Huge Private Sparkling Pool! Plan Your Summer Parties Here! This Home & Backyard Sells Itself! NO MELLO! NO HOA! Rare Offering! Great Curb Appeal! True Pride Of Ownership Neighborhood! Perfect Move In Condition! Updated & Upgraded! Crown Molding! Beautiful Floors! Outstanding Open Floor Plan! Gorgeous Quartz Kitchen With Custom Backsplash, Fantastic Cabinets & Stainless Steel Appliances! Fabulous Family Room With Dual Ceiling Fans & Fireplace! Marvelous Master Suite! Terrific Room Sizes! RV Parking! Rare Chance! 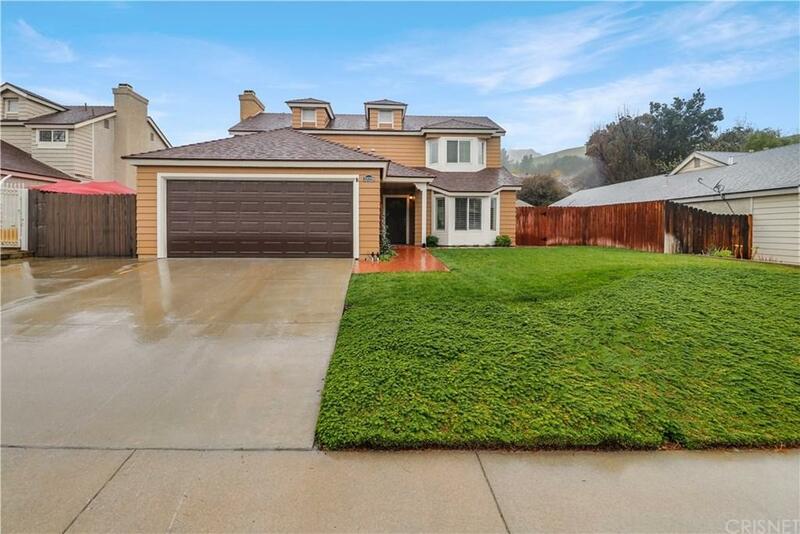 Excellent Castaic Location! Close To Everything! If You Are Only Seeing One Sensational Castaic Pool Home, Make Sure This Is It! Must See! Standard Sale! Do Not Miss! Castaic Living At Its Best!